These flavourful fresh green beans, cooked in a simple sauce, couldn't be easier to make! Bring beans and tomatoes to boil in medium skillet on medium heat; cover. Simmer on medium-low heat 7 min. or until beans are crisp-tender. 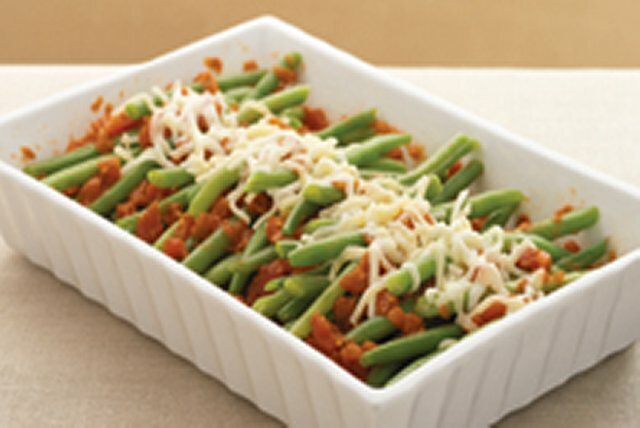 Prepare using 2 cups beans, 1 cup canned tomatoes and 2 Tbsp. shredded cheese.